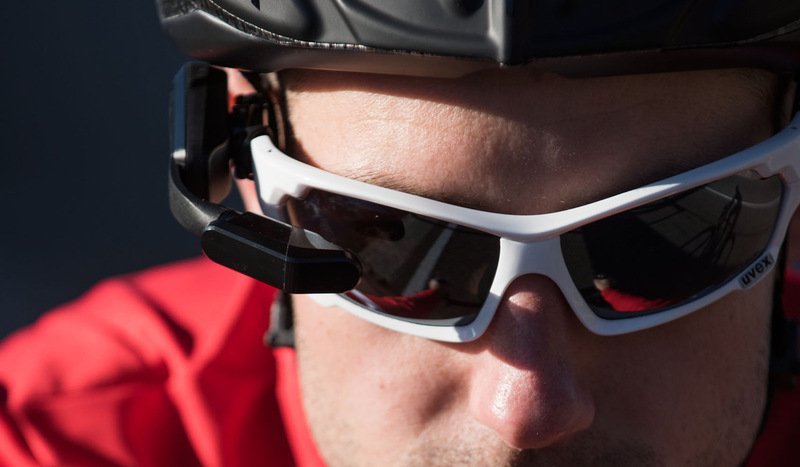 Varia Vision, glasses to help cyclists during races and everyday riding, are new from Garmin International Inc. Its in-sight display gives users the ability to easily view their data and receive alerts during a ride without needing to take their eyes off the road. A charge can last up to eight hours and the device only weighs 28 grams. It has adaptable mounting options and a weatherproof design that’s perfect in all conditions. Color-coded graphic displays provide information about heart-rate, power and speed. The navigation screen also comes with street names, directional arrows and distance to turn. Other features include customizable data screens and vibration alerts for performance, navigation or cycling awareness prompt, smart notifications about incoming calls and texts and the convenient touch panel makes it easy to transition between data screens. If paired with Varia rearview radar system, riders are notified about vehicles approaching from behind. Varia Vision sells for $399.99. 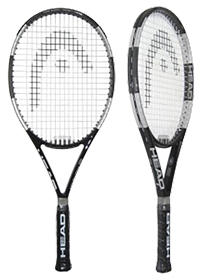 If you’re new to tennis or simply looking for an updated racquet, try the Liquid Metal 8 Strung Tennis Racquet from Head – it’s getting great reviews. Powerful yet lightweight at only 9.3 ounces, it’s designed to give you maximum coverage while hitting the ball. You also get full control while hitting the ball back. It has a special kind of shock dampening technology (called No Shox) which is very effective, absorbing about 27 percent of the shock that occurs. The racquet has an extremely large head of 112 square inches so you’ll hit the ball every time you swing it, and it’s specially designed that the sweet spot is spread over the whole head. Whether you’re traveling to Rio for the Olympic Games or to other foreign ports of call this summer, take along the GEEKPRO® 200W Travel Power Converter that can be used worldwide. Equipped with different sockets, it converts any input voltage (90-260V AV) to 100-120 AC always as the output voltage supply. It comes with three 110V AC outlets, power switch and LED indicator light. It also has multiple socket adapters and multiple outlets (3 AC outlets and 4 USB charging ports), meaning you can charge a lot of things simultaneously using only one wall outlet. Converting overseas voltage from 90-260V to 110-120V, it powers up your U.S. electronic devices safely. 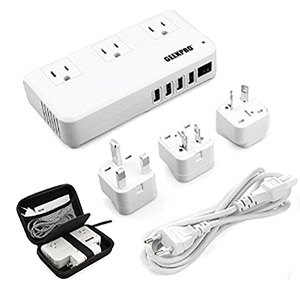 The GEEKPRO® 200W Travel Power Converter is a compact size of 6.5″ x 3.5″ x 1.4 and comes with a small shockproof bag holding all the cords and chargers, making it easy to carry. Available through Amazon. $42.99. 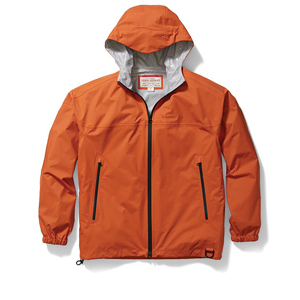 For the person who loves being outdoors fishing or hiking, here’s a lightweight jacket that’s fully seam-sealed to keep out rain, even in a downpour. It features an attached hood with visor that’s drawstring-adjustable to keep your head and neck dry. Fitted cuffs and a drawstring-adjustable waist provide additional protection from water and wind. Water-repellent zippered pockets that are mesh-lined keep stowed gear safe whether you’re in the field during a storm or wading on the banks while fly fishing. The waist has a D-ring for your net or fishing license. The fabric is lightweight and breathable; it’s also machine-washable. It comes in a choice of three colors – black, angler green and burnt orange and in sizes S, M, L, XL and XXL. $195.